John Lasseter is the chief creative officer of DineyToon Studios, as well as Pixar and Disney Animation Studios. He also holds the role of Principal Creative Advisor for Walt Disney Imagineering (The R&D department of Walt Disney theme parks). 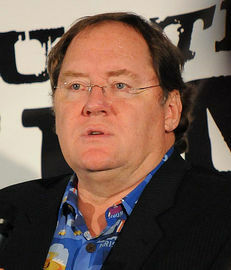 Lasseter was one of the first people to begin promoting computer generated animation to the Disney Company when he worked as an animator early in his career. After being let go from Disney, he then worked with Lucasfilm and started his journey into the world of CGI feature films. While at Lucasfilm, he created an entirely seperate division (and then later his own studio) named Pixar. His CGI based studio produced many animated films, such as Toy Story, The Incredibles, and A Bug's Life. In the early 2000's, Pixar was purchased by Disney, and Lasseter's career came full circle, taking on many chief creative roles within the multimedia companies CGI division.